This week it’s all about maps. I love maps. 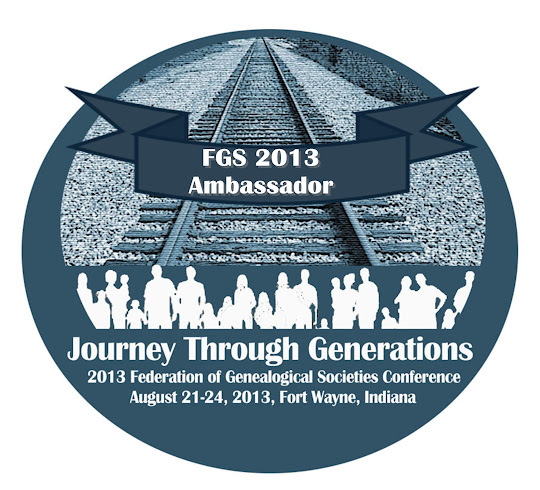 They are great tools for genealogists and often help us solve research problems. In this post, I’ll share a few examples of how I use maps in my own research. For rural dwellers, creating a map of our ancestors can be very helpful. We can visually see what parcels of land a they owned and who their neighbors were. This can help solve many mysteries. For example, when I plotted out part of a township where both my fifth great-grandfathers, Aaron Webster and Robert Parks, owned land in Oakland County, Michigan, I saw several familiar surnames. One of Aaron’s daughters married Zadock Bates and the other married Erastus or Orestes Millard. Both of these surnames appear in close proximity to the land that Aaron owned, so it’s possible that the daughters’ spouses are related to those nearby families. I created a map by simply drawing it out using the land descriptions for all the federal land grants in the sections I was interested in. In another instance, I was trying learn the origin of an Iowa family, who had apparently previously lived in Georgia, Pennsylvania, and Missouri. Using the 1885 Iowa census, which includes the place of birth for each person, as well as a land description, I decided to plot the family’s neighbors who were in the same place and the same time in hopes of finding connections between the families in other locations. For example, one neighboring family had a child born in Missouri in 1874, as did my family. While I haven’t been able to actually solve this mystery, I am hopeful that researching the neighbors further will be of help. Again, this one is a hand-drawn map, but I only plotted families with similarities to my family (I can always go back and add in the rest). In addition to my rural folks, I have a lot of city dwellers, particularly in Chicago. I use Google Maps all the time for various reasons. For example, plotting the family on a map can help you figure out what churches to search. I had my Ward/McMahon family mapped out for different reasons (comparing locations to other possible family members), but when the Catholic church records for Chicago became available through FamilySearch, I decided it was time to do some digging, but I had no idea where to begin. Looking at the map I had already created, I began to go through all of the Catholic churches listed at ChicagoAncestors and determine where each had been located and the years of operation (I could have used city directories for this as well). Once I identified a possible church, I plotted it on the map. If I found that an event had occurred for the family, I added the details to the map’s location description. Here’s the map I created. If you click through to view it on Google, you will see the descriptions of all the pins and see how I have it organized by family and year. I’ve also used Google Maps to help with foreign research. For example, I had some Luxembourg families that were apparently in three different communes in two different cantons. Seeing them all on the map, I realized that they were actually pretty close to each other. And you can read about my map project for my Prussian research here. Maps are especially helpful in discovering boundary changes. These changes could be at any level, including territory, state, county, etc. One tool that I like is AniMap. In the following two images, you can see how the county boundaries changed for New York from 1794 to 1799 and one of the places I research belonged to two different counties, thus two different places to research. These are just a few examples but I hope that this post gave you some new ideas for using maps in your genealogy research. If you’d like to share how you use maps in your own research, please leave a comment—I’d love to hear other ideas!